"Aniyah and the Magic Mirror"
Today as I look around I notice that our children are losing their innocence to a world of violence and corruption. Childhood is a gift. Under normal circumstances you only get to experience it once. The Aniyah Series allows you to relive it again and again with each wonderful adventure. See the world through the eyes of a child. Many children are trying to grow up too fast while many adults are busy seeking ways to relive their youth. Each book has an inspirational message of morality. 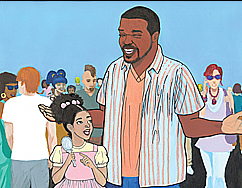 Book two, "Aniyah and the Magic Mirror" teaches children about compassion while book one, "Maybe" teaches children how to deal with disappointment. Each book is designed to entertain, enlighten and educate. Aniyah is an urban Afro-American positive role model with an international message. Book one introduces Aniyah. The following books of The Aniyah Series will reveal that Aniyah has many friends of every ethnic background. Childhood is a time of endless possibilities. It is during this time that we take our greatest leaps of faith, we speak our first words and take our first steps. 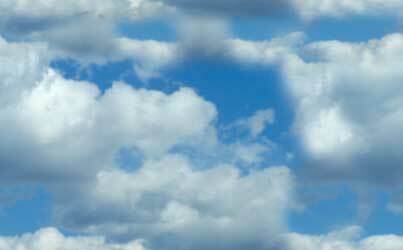 We see with our hearts and are not influenced by learned prejudices. This is the most influential time of our lives. Our children need positive role models that will influence and inspire them. 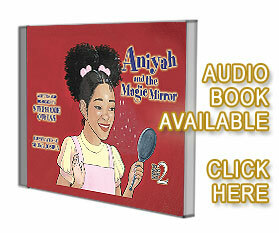 You can also experience Aniyah's sound effect enhanced Audio cd's. It's just like being there! She even has her own theme song. Enjoy! * Computer games, hair products, CD's, shoes. Languages: English, Mandarin, French, German, Arabic, Hindi, Spanish, Braille and Audio. 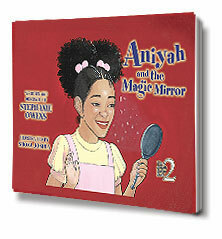 The Aniyah Series consist of several different short stories featuring the main character, "Aniyah". 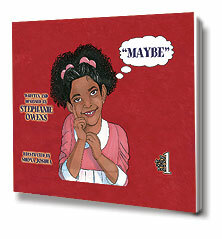 She is a five year old positive Afro-american female role model with an international message. She is an only child that lives with her father and mother. The characters of the Aniyah Series are diverse in ethnicity. Unknowingly she is blessed with the gift of insight and compassion. A gift that many children possess until they are taught prejudice. Within these abilities are found the secrets of humanitarianism. The series portray the world through the innocent eyes of a child's perspective. Each book contains a message of instruction and morality in the form of entertainment. The series will also be available in different languages on CDs and in braille. The CDs are full of dialog, sound effects and music. When played along with the reading of each wonderfully illustrated book, children will be able to experience the sensation of being right there.